Are you looking for a quick & easy Christmas themed craft activity? Now because I’m some kind of weird Christmas freak, I like to have everything perfectly coordinated, right down to the gift tags that I put on my gifts that go under the tree…if they don’t match the tree & the wrapping paper…well they don’t get used. (My husband on the other hand, he likes to just write directly onto the wrapping paper with a black sharpie marker…..sigh…., if that sounds more like your style, then these possibly aren’t the tags for you). If however you’ve got an hour & feel like getting crafty, you can definitely create at least a few of these beautiful gift tags to add some extra wow to the thoughtfully chosen presents that you’ll be giving to your family & friends this Christmas. 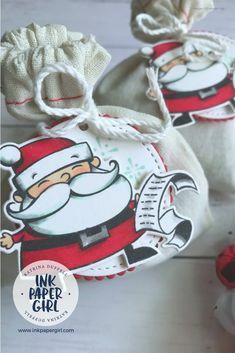 To create the front tags I’ve used the Merry Little Labels & Carols of Christmas stamp sets by Stampin’ Up!. They are both in the current holiday catalogue, however they are both retiring at the end of December (unless sold out sooner) so if you’d like them, jump online & place your order right now….While you’re there don’t forget to grab the Diagonal Background stamp, as you’ll need it to stamp the back tags….It’s ok I’ll wait for you to do that before I continue…. Ok, so now that you’ve finished placing your order for some awesome stamp sets that I’m sure you’ll use over & over again, lets take a closer look at each of the designs that I came up with. To make these tags, I used some Crumb Cake A4 cardstock & some Whisper White Thick cardstock which I trimmed down to 2 inches wide (in fact all the tags are 2 inches wide which means they are a perfect fit for the Scalloped Tag Topper Punch). I stamped a sentiment from the Merry Little Labels stamp set in Real Red ink into the centre of my tag & then used the “sparkle” image from the Carols of Christmas stamp set to add the white sparkles which look a little bit like falling snowflakes. To finish off the straight end of the Crumb Cake tag I added a strip of designer washi tape from the Pick a Pattern pack. Of course you don’t have to make the 2 tags but if you’d like to, you can do so by simply inking up the Diagonal Background Stamp with Basic Black Archival Ink & stamping it onto some Whisper White Thick cardstock. Then trim it down to 2 inches wide & punch one end using Scalloped Tag Topper Punch. I used Basic Black Bakers twine to thread through both my tags, so that I can easily attach them to my gifts when I start wrapping. To create the faded background I stamped one of the bauble images from the Carols of Christmas stamp set in a gold coloured ink on Whisper White Thick cardstock, before I stamped my sentiment. I then grabbed the Eat, Drink & be Merry stamp from the Merry Little Labels stamp set & I simply coloured directly onto the raised parts of the stamp using my Old Olive, Bermuda Bay & Real Red Stampin’ Write markers from the brights set, along with my Crumb Cake & Basic Black Stampin’ Write markers from the neutrals set. 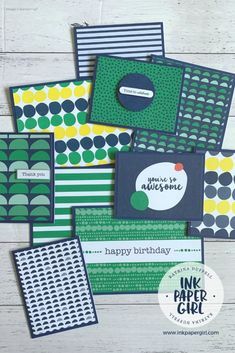 Now because the colouring takes about a minute or so to complete the first colour you applied might be starting to dry out & may not stamp well…..The solution is to huff or breathe out across surface of the inked stamp before stamping it. There’s enough moisture in your breath that it will re-hydrate the water based ink & give you a nice evenly stamped image. I finished off the straight end with a piece of the thin gold foil washi tape from the Year of Cheer washi tape pack…this one is also on the retiring list so don’t forget to order it before it disappears forever. The back tag has been stamped using Real Red ink & the Diagonal background stamp. I tied them together using one of my fave things, Linen Thread. The final tag uses the same gold ink to stamp the reindeer image from the Carols of Christmas stamp set onto Whisper White Thick cardstock before stamping the Just for You sentiment from the Merry Little Labels stamp set over the top using Basic Black Archival Ink. I’ve finished these off using the same thin gold foil Washi tape that I used on the other tags. I hope I’ve inspired you to add some extra wow to your gifts this year & to show your loved ones just how much you care by giving them a gift that features a handmade gift tag from you. 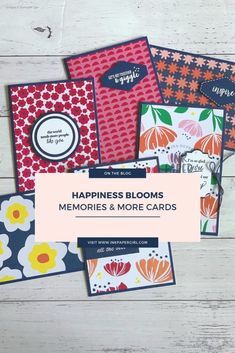 In fact I’ve even come up with a lovely elegant gift box design, which is the perfect size for you to put them in…to read more about the gift box check out this blog post. Click on the image to view the fantastic Year-End Sales Event.